Students investigate large buildings and modern architecture, including skyscrapers through the medium of print. After completing their own mono-print, their image is enlarged to A3. Students are then encouraged to investigate the possibilities of mixed media with a focus on oil paints and water colours. Extended work has previously involved working collaboratively to produce larger scale buildings. Homework: There is a related homework involving designing a building of the future. 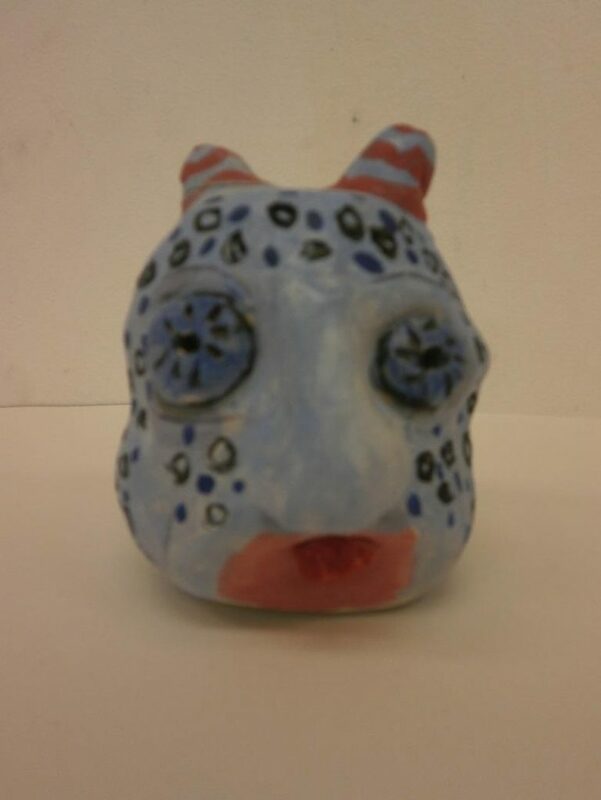 In this unit students learn about a variety of sculptural techniques, using clay to create a Gargoyle. After investigating the history of these unusual creations; what they are used for, students design and build their own gargoyle. 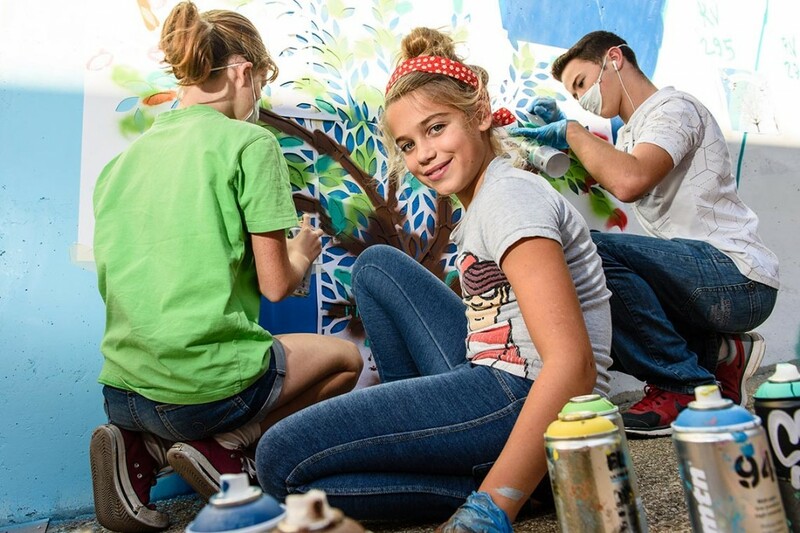 The project encourages students to think creatively and work independently, while learning new skills and techniques involved with clay construction. Homework: To research and design a gargoyle. 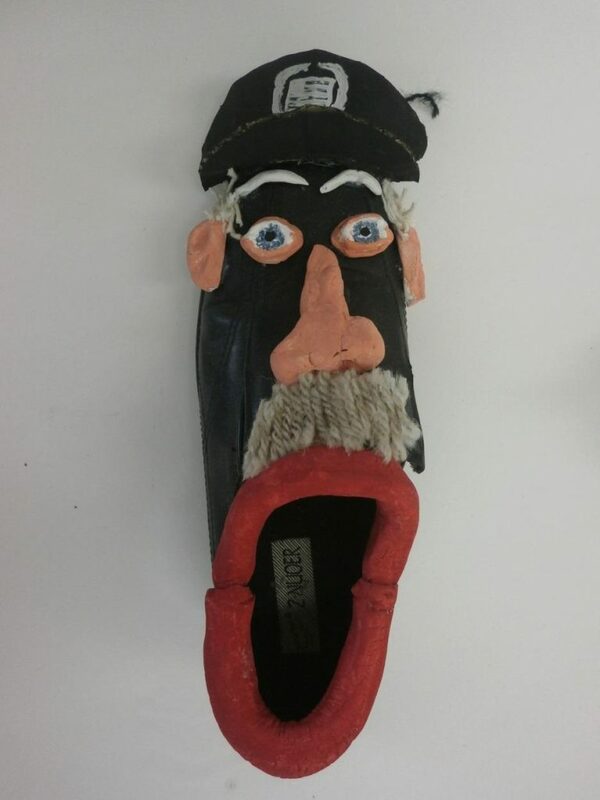 In this unit students design and make their own shoe character, based on a famous or influential person. Through a sequence of activities students learn basic design concepts and how to construct features using air drying clay. The project encourages students to approach the challenges of 3D construction, in creative and inventive ways. Homework: To find a photo of a famous person/celebrity and do a good quality copy. During this term students investigate the work of another artist and consider how this can influence and impact on what they do. Looking at art movements and individual pieces of work, helps students contextualise what they do. 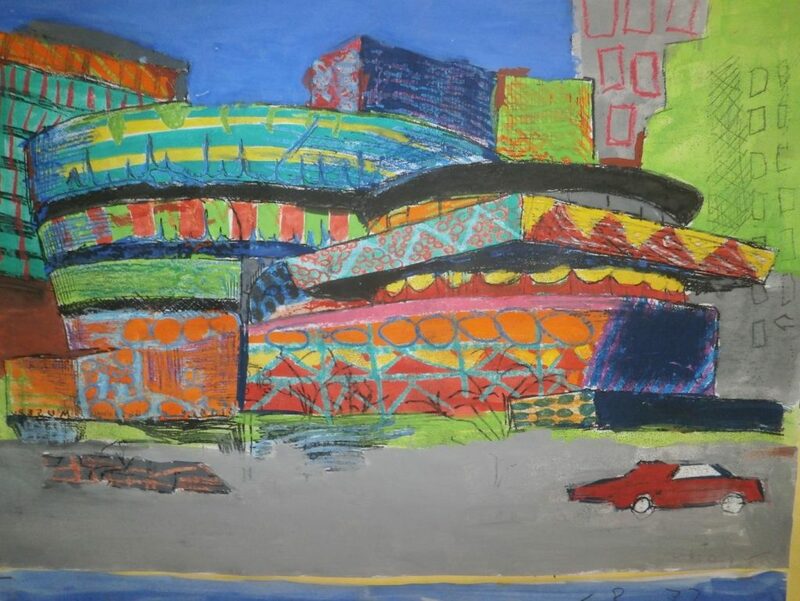 After learning to analyse a piece of work by their chosen artist, students are encouraged to make a detailed copy or interpretation of the piece. Students research and investigate different photographic examples of doorways and entrances. 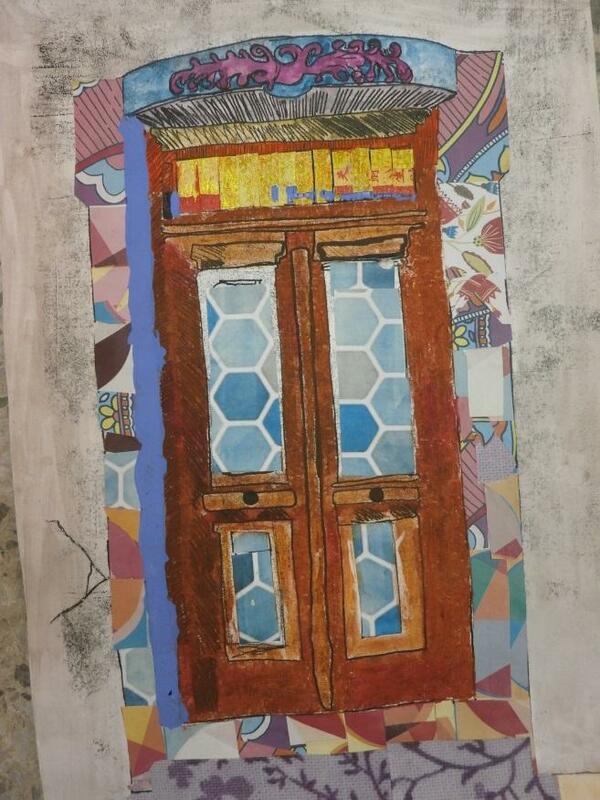 They then complete a mono print of their chosen doorway, before working with a range of mixed media to develop and enhance the piece. Homework: There is a related homework set at the start of the project. Students finish Key Stage 3, by doing a self-directed project. 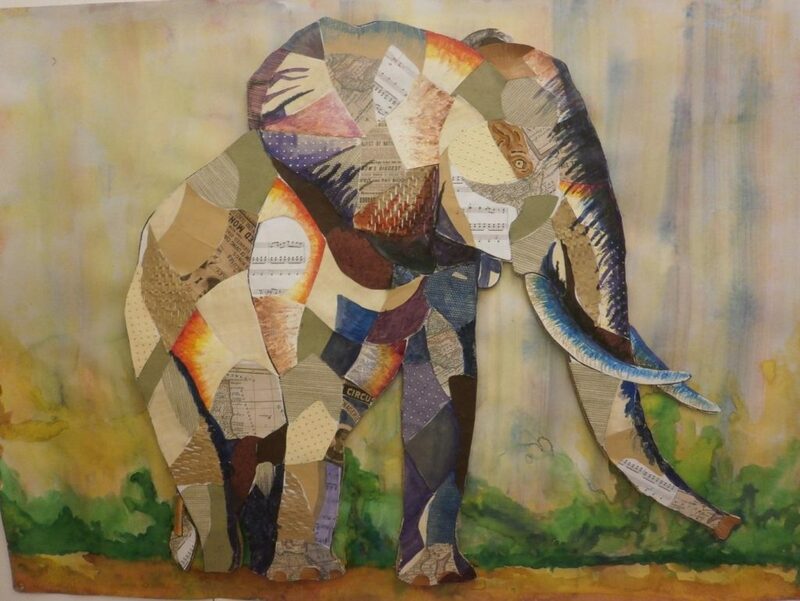 After selecting a theme or starting point, students are required to undertake visual research and devise a plan, including testing out materials, before completing a final piece. This project encourages students to work independently with time management being a key factor. Self-directed.Students select a theme or starting point and undertake a variety of visual and critical research. 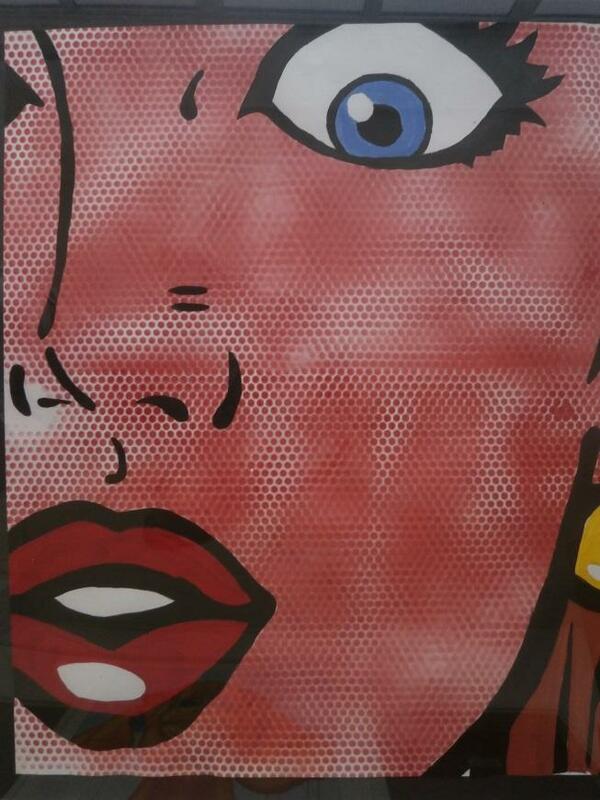 Over a period of approximately 3 terms, they then produce a body of work which relates to their theme. 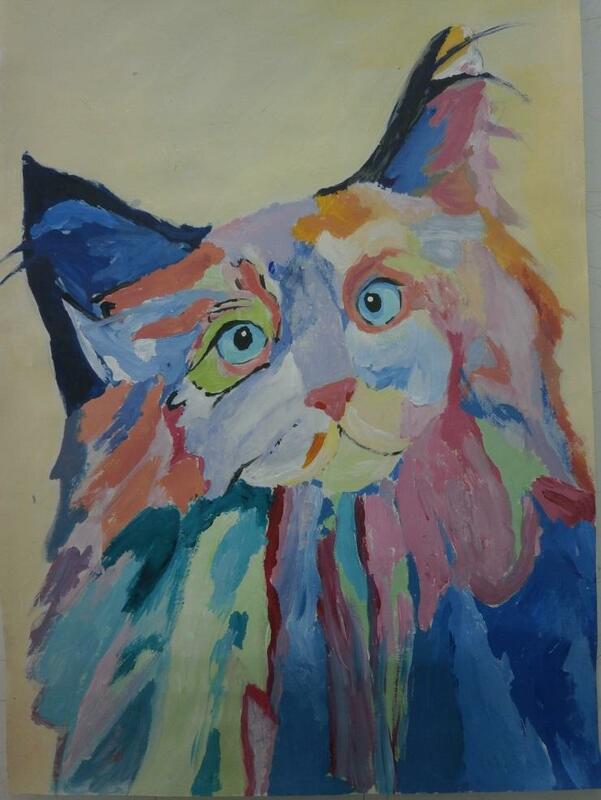 During this period students are encouraged to challenge themselves, by trying out new materials and techniques and approaching their subject matter in an original and creative manner, while developing multiple responses. Homework: Students should spend a minimum of 1 hr each week, developing their research in their sketchbooks. How to help: Check your son’s/daughter’s sketchbook regularly and talk to them about their work.